The latest bath-based therapy streams into St. Louis homes. You’re familiar with the whirlpool tub – the Jacuzzi – of course, and you might be privy to air baths, too. Allow us to introduce you to the next big thing in bathing: developed by Georgia-based MTI Baths, Stream Bath invites users to experience a soak in the great outdoors — without ever leaving home. As its name suggests, Stream Bath mimics the relaxing feeling of wading into placid waters, with vent-propelled currents that look, sound and feel every bit as soothing as a forest stream. “The Stream Bath is as nature intended – thoughtful and awakening to the senses, yet gentle and relaxing,” explains Russell Adams, president of MTI Baths, an award-winning, employee-owned company making handcrafted products right here in America. Stream Bath seems straightforward, but the concept represents a big move for the industry, Adams continues. 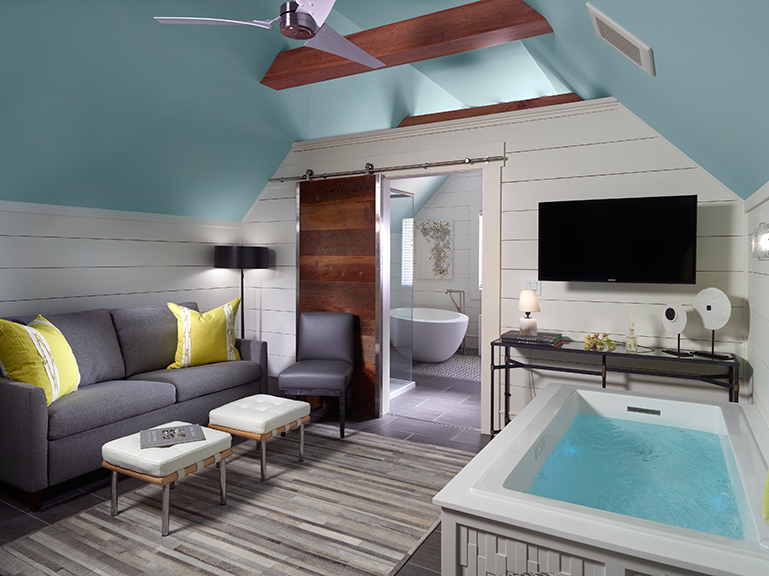 It’s Stream Bath’s vents – distinct from jets – that deliver an unparalleled soaking experience. Outlets located at the ends of the tub subtly push water toward bathers, while angled and rotatable side vents allow for a customizable soak with unique flow patterns that can be guided toward areas of focus. The tub has been popular with aging clients, true; it’s also appropriate for anyone with circulation issues, and folks looking for general pain relief, explains Erin Sweeney, showroom designer at Crescent Plumbing Supply Co., currently the sole St. Louis supplier of MTI’s Stream Bath. Air doesn’t mix with water released from the bath’s vents; as a result directional currents emerge, then, without turbulence or bubbles – though, bathers looking for a more effervescent experience can simply point the side vents upward. “I find that the Stream Bath is quieter than other therapy tubs,” Sweeney says, pointing to a pump that’s intentionally muted to enhance an overall rejuvenating, spa-like ambiance. An optional inline heater maintains water temperature at 104 degrees for long-term bathing. MTI’s latest line of therapy products proves functionality and performance needn’t compromise style. Stream Bath comes in traditional, transitional and contemporary models in multiple shapes and sizes, making it versatile and compatible with most existing bathrooms. The tub can be used in either a drop-in or under-mount installation; the latter, Sweeney notes, is becoming increasingly popular for its ease of entry. Speaking of practical, cleaning the Stream Bath is a breeze given its gravity-fed plumbing system. “It’s a very low maintenance product,” Sweeney says. 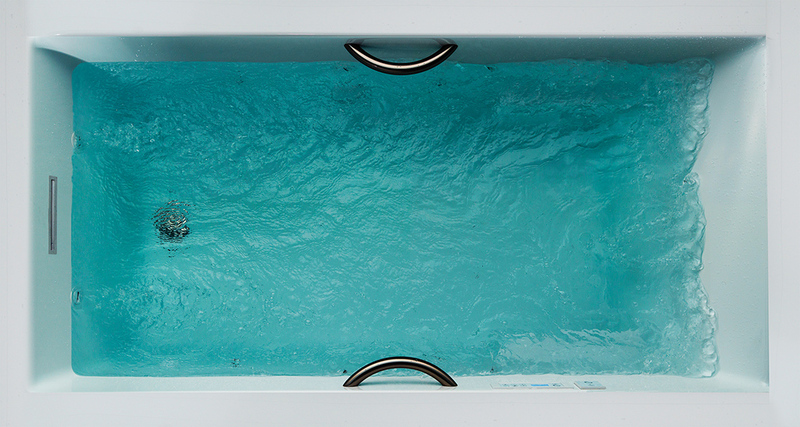 “Pricewise,” she adds, “Stream Baths are comparable to a whirlpool or air bath, and they aren’t any more expensive to install.” MTI Director of Marketing Michael Kornowa clarifies, “We have it priced at approximately the same cost as our standard whirlpool. 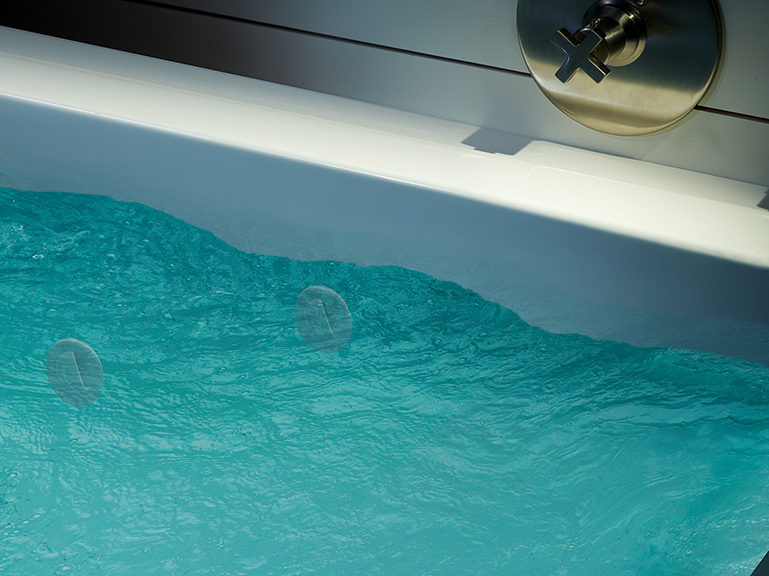 What we wanted to do was create the ultimate soaking tub, and price it attractively.” Mission accomplished.